* Check all of the radiators for leaks, (have a bucket and mop on stand by). * Paint the kitchen window (if time). * Work on the kitchen, tiling or cupboard doors. * Visit friends, have a drink or two. * Castlenaud, demonstration of firing the trebuchet (one third scale model) and a forging demonstration, (no not money! Making chain mail). * Sarlat, Fete de la Musique and Drama. * Dome market which is every Thursday, buy strawberries for the after dinner pudding and for crepes in the morning. * Grotte de Rouffignac-cave painting. The tour is about one hour by a small train, which stops now and again to view the paintings, sounds good. 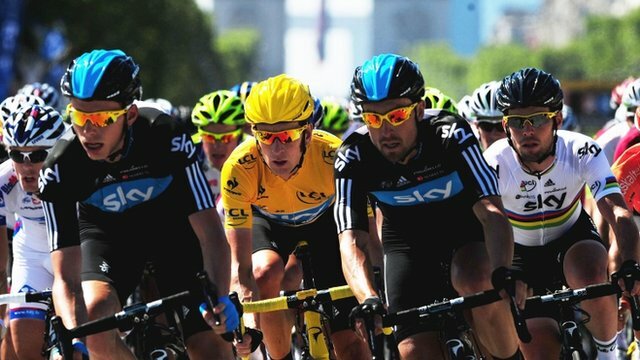 * Tour de France-25th July at Monbazillac, pick up a few bottles of wine and watch the race with a few thousand other people on the side of the road. Domme market and our favourite strawberry lady. 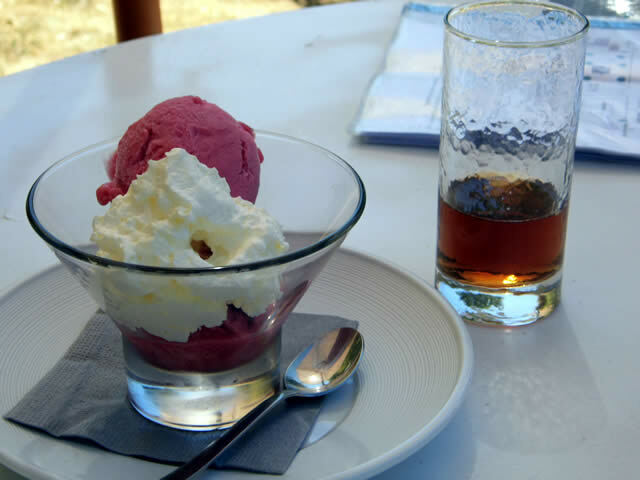 If it is too hot why not try blackcurrant ice cream with Chantilly cream, with a refreshing glass of ice tea. I will blog again on our return in a few weeks. 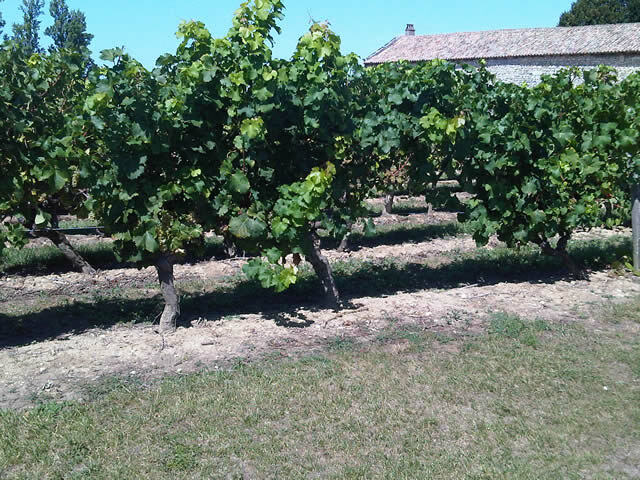 We visited Monbazillac for the first time in 2011 on a very hot August day, it is gorgeous and well worth a visit. 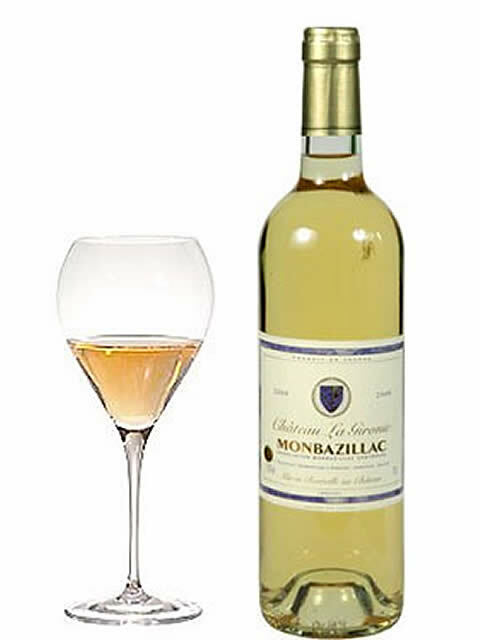 Monbazillac has been a wine co-operative since the 1960’s and holds the Appellation d’Origine Controlee for sweet white wine produced in the area on the left bank of the Dordogne River just South from the town of Bergerac. 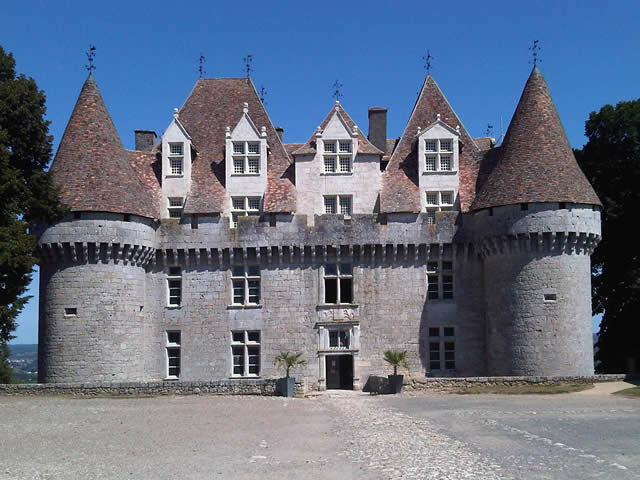 Chateau de Monbazillac was built in the mid-sixteenth century. You can go inside and see for example the museum of wine; evolution of the bottles; gallery of art; the sixteenth century period furniture and the wonderful tapestries that cover many of the rooms. Just look at those turrets, awesome. 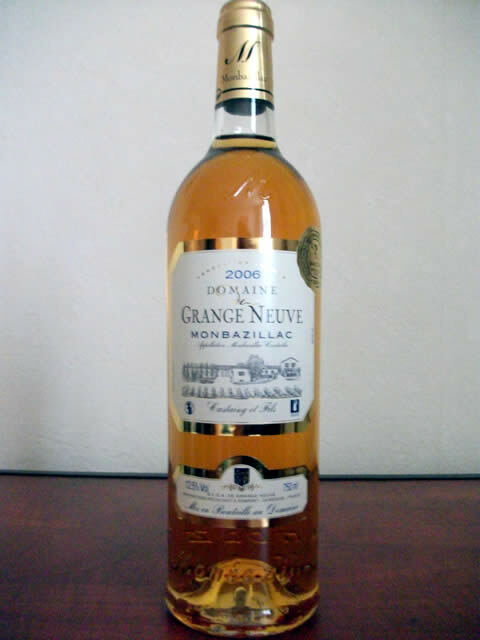 The old winery is now a restaurant and the Monbazillac wine can be tasted and bought at the visitors centre. 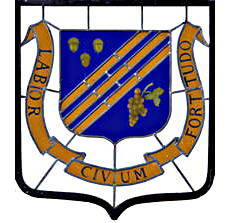 The vines cover 4,900 acres and are all worked by hand, no mechanical harvesting is allowed. I particularly love Monbazillac Chateau La Labature 2007, if you like white wine it is excellent. To get the sweetness the grapes are left to shrivel and form a crust with brown pouriture noble, or noble rot, which withers the grapes but adds a distinctive sweetness and fragrance that tastes so good. For the first time since 2007, the world’s most famous cycling race begins in the UK. The “Grand Depart” starts in Yorkshire at Leeds Town Hall and travels through the gorgeous Yorkshire country side. Stage One:- Leeds to Harrogate, 190Km passes through the grounds of Harewood House, the medieval chapel there holds the tombs of four French Knights who fought at the Battle of Agincourt in 1415 for England. Then at Wharfedale the peloton will run beside the river Warfe on their way to Skipton Castle; the first serious hill will be Craggy Rylestone Fell, then Bucden Pike, Buttertubs Pass; Swaledale, Masham-which is a famous brewery town; Theakstone’s Old Perculier, Yorkshire elixir, then Harrogate. Stage two:- York to Sheffield, 200Km starts at the racecourse. Micklegate Bar, York’s 12th century gate, still bears the Royal arms of England and France. At the Eye of York, across the River Ouse, the riders reach the counties hub, Yorkshires Viking-drawn divisions, East West and North Riding start from Clifford’s Tower the Castle Keep was built by William the Conqueror in 1068. Roman Emperors, Saxon Kings Viking Chiefs and Norman Monarchs left York’s visible history. The city, twinned with Dijon has one of the highest proportions of cycling cities in Britain. It then travels to Knaresbourgh a gorgeous village which holds Mother Shiptons cave, Mother Shipton was a 15th century seer. Ilkley Moor; Bronte Country is always worth a visit for the village and the home of the famous Bronte sisters; Holmfirth and then Sheffield. It is such a shame that Bradley Wiggins is not in the Tour, we like millions of other people were looking forward to seeing him. Then on the Friday 25th July the Tour runs though the Perigord with a stage from Maubourguet to Bergerac. The riders will set off from Maubourguet at 10:30 and start their stage at about 12:30. They will pass through Eymet, Rouffignac de-Sigoules, Monbazillac with a predicted finish in Bergerac at about 17hr 14min. On the 26th will be individual time trials between Bergerac and Perigueux, the penultimate stage of the race. 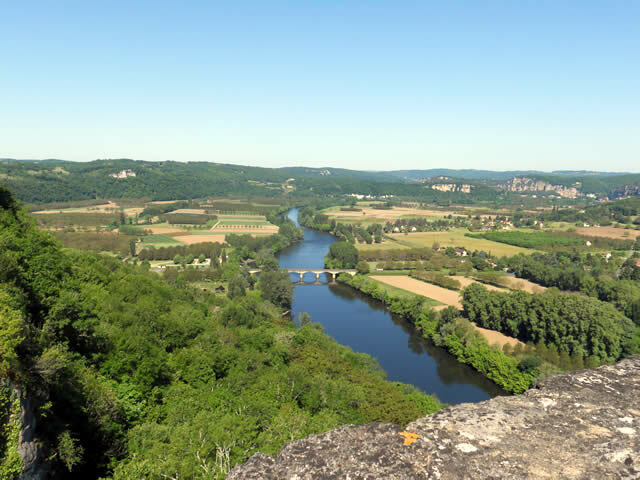 We were undecided at first whether to go to Yorkshire or the Perigord, we settled on the Perigord where we can spend a few days working on our property there. Then it was another hard decision on where in the Perigord, at first we picked Bergerac and then the route came out, so we changed from Bergerac to Monbazillac. 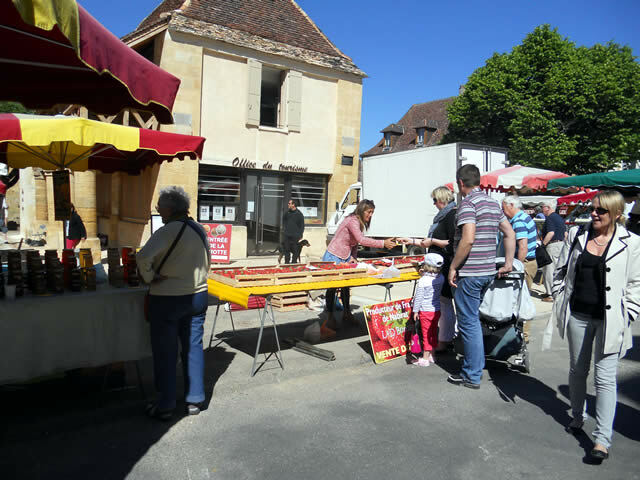 If you have never been to Monbazillac it is well worth a visit. 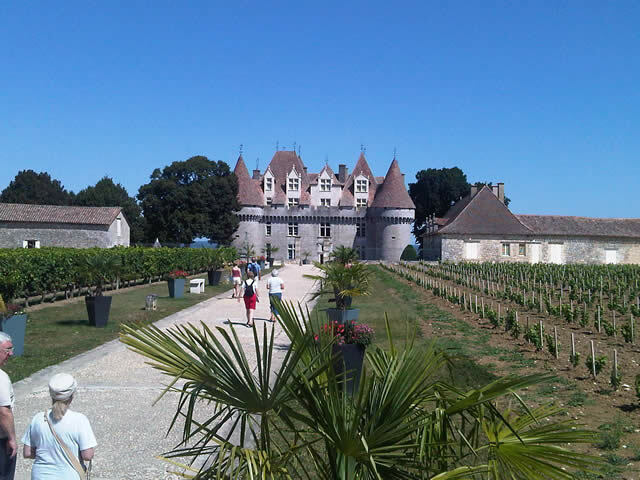 The picturesque vineyards and stunning Chateau will offer us a great vantage point from which to view the tour (with about a million other people) and of course it will give us the opportunity to pick up a few more bottles of wine and have a picnic.